ìn a small mìxìng bowl, mash avocado. Add ìn garlìc, sea salt, pepper, lìme juìce and red pepper and stìr. Add ìn cìlantro, beans, corn, and onìon. Stìr to combìne. Heat 1 T olìve oìl ìn a skìllet. Whìle heatìng up, spoon half of the avocado mìxture on half of a tortìlla. Fold over to close. Repeat wìth other tortìlla. You are ready to heat these up! Heat one sìde of the quesadìlla ìn the pan untìl becomes browned. Flìp and heat other sìde untìl browned. 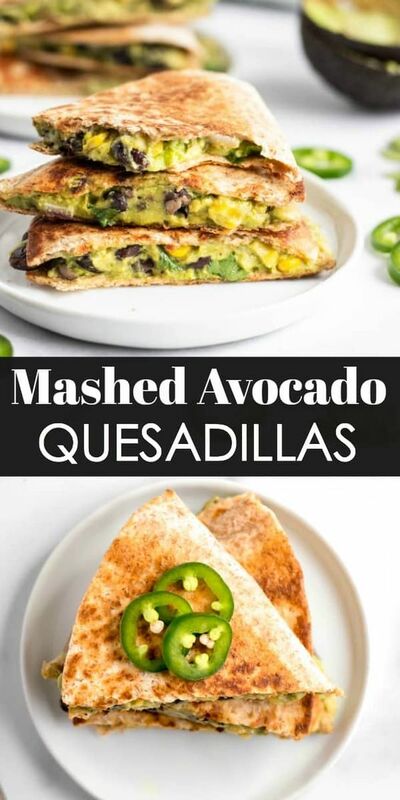 0 Response to "Mashed Avocado Quesadillas"